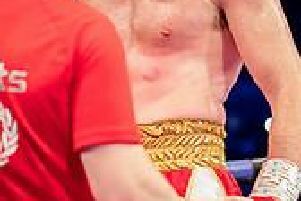 He beat Doncaster's Jason Ball at iceSheffield with a dramatic round one stoppage. Sheedy who recently suggested he may make a comeback hasn't boxed since losing to derby-rival Liam Cameron 13 months ago. At the height of his reign, the Pitsmoor southpaw was a Commonwealth middleweight champion.